Electric vehicles – often known simply as EVs – have long been touted as a greener, more environmentally friendly way of getting around. Equally, they’ve also come under fire for not offering a silver bullet for reducing pollution and helping our planet’s sustainability issues. With so much misinformation surrounding the subject, when it comes to electric cars it can be incredibly difficult to get a handle on what’s actually true. Perhaps the biggest myth of all is that electric cars aren’t any greener than their petrol counterparts, with some claiming the energy required to manufacture them is higher than the energy needed to manufacture vehicles with a regular internal combustion engine (ICE). It’s also claimed the actual process of generating the electricity used for charging electric cars creates more carbon dioxide (CO2) than the emissions from a regular ICE car. Whilst it is true an electric vehicle can take more energy to manufacture than an ICE vehicle, vastly improved processes mean this energy requirement is beginning to fall. Furthermore, the CO2 savings made when running an electric vehicle mean this carbon debt is “paid back” in little more than a year of typical use. When it comes to the electricity used to power the vehicle, if someone were to charge their electric car overnight (when the UK National Grid’s CO2 emissions are at their lowest) whilst on one of Yorkshire Energy’s green tariffs, they would create around a third the CO2 emissions of a regular car. And, perhaps more importantly, by opting for an EV over an ICE, their contribution to the particulates and various nitrogen oxide (NOx) emissions that cause smog and major health issues in our towns and cities would be eliminated. The choice of electric cars are becoming more readily available and have the potential to save drivers money. What about the batteries at the end of their life? There are claims that a major switch to EVs will lead to lithium shortages, and that the disposal of end-of-life batteries could itself create pollution. There’s a degree of truth behind both these claims, but even current reserves are sufficient for the production of over one billion electric vehicles as lithium carbonate is very abundant, with more being discovered now we’re actively looking for it. Thanks to its abundance, the lithium within the lithium-ion batteries used in electric cars is not currently being refined when the batteries are recycled. But with the valuable copper, aluminium, cobalt and nickel and rare-earth elements all being recycled, it’s certainly possible the lithium could also be recycled in the future. As for the disposal issue, there are projects and proposals to use electric car batteries from end-of-life vehicles in stationary applications such as home battery storage (which is already a rapidly-growing market) or as buffer storage to allow faster electric vehicle charging at forecourts etc. However, it isn’t yet clear if this is definitely going to happen, or how this will be impacted by future economics. How long do electric car batteries last? As the battery is the single most expensive part of an EV, how long the battery will last has obviously been a concern, as is loss of capacity as the battery ages. As long as manufacturers do careful management of the battery temperature, particularly during rapid charging, real world data suggests that battery capacity loss is around 5% at the 50,000 mile mark and around 10% by 160,000 miles. These are average figures, and some vehicles will perform worse depending on usage, but several manufacturers are providing guarantees that capacity won’t drop more than around 30% by the 100k mile mark. Some, such as Tesla also provide eight year warranties on the battery and entire drivetrain – which is far better peace of mind than you will get with internal combustion vehicles. Battery prices are also dropping rapidly, so even if one had to be replaced or refurbished at 100k miles, the cost will be comparable to an engine or gearbox failure in a traditional vehicle. So, ask a lot of questions about battery management and warranty, but bear in mind how simple the rest of the drivetrain is (with no engine, gearbox, clutch, exhaust, etc.) when making a decision. Will charging an electric car at home save you money? Electric vehicles have the potential to save drivers quite a bit of money – home charging an electric car is over five times cheaper than buying fuel for a regular ICE vehicle. 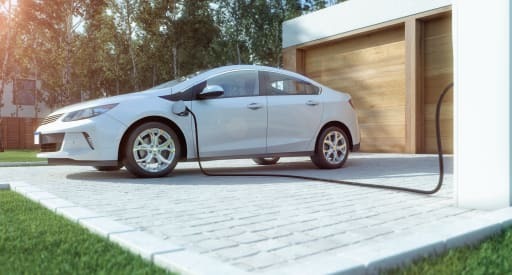 This saving can quickly cover the additional cost of purchasing an electric vehicle, as can the reduced running costs from not needing oil changes, new exhaust systems, clutches and so on. The fears around batteries failing quickly have so far proven to be unfounded. Looking to the future, electric cars might be able to help with the expansion of renewable energy as their batteries could potentially be used in Vehicle To Grid (V2G) applications. This would mean feeding back into the UK grid during the evening peak, then using excess low-CO2 electricity to recharge at night, effectively turning electric car home charging stations into sources of energy for use elsewhere. How long does it take to charge an electric car? Other myths around EVs are that they’re only suited for short trips, that they are slow, and that they take too long to charge. While some of this may have been true for very early electric cars, modern electric vehicles are completely different due to improvements in battery technology and falling car battery prices. You can buy an EV today with a range on a single charge of well over 250 miles, with the ability to then charge enough to go another 125 miles in just 20 minutes. The other great advantage of choosing electric is that the motors can deliver great acceleration in an effortless way that’s quite addictive: you don’t have to be in the right gear, and then wait for the revs to rise and the turbos to get spinning, so you just push the pedal and go without the Noise, Vibration and Harshness (NVH) of ICE vehicles. Modern electric cars charge up much faster than you'd think. 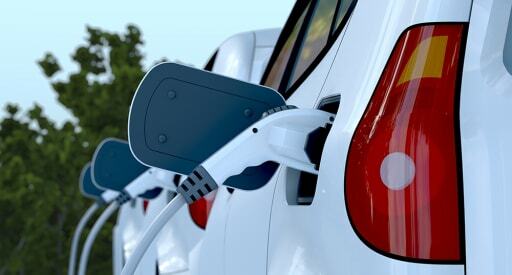 What is the future for electric vehicles? The overall UK charging network is still at an early stage, with lots of different networks needing different smart cards and apps, and the reliability is not really where it should be. The good news is this is changing, and with most automotive companies now (finally!) taking EVs seriously, the “chicken and egg” situation of the past will soon be forgotten. We’re also starting to see the end to the numerous different charging standards. CCS2 (Combined Charging System) is now the European standard for both slower AC charging (e.g. at home or a “destination charger” in a car park) like the ones found at home or a “destination charger” in a car park) and rapid DC charging when on a longer trip. The choice of EVs is also expanding rapidly, with companies such as Tesla and Jaguar providing fast and luxurious vehicles at the higher end, and Renault and Nissan with their far more affordable Zoe and Leaf vehicles. In the mid-range are the Ioniq and Kona from Hyundai, the BMW i3, and – in the very near future – a wide range of EVs from Audi, VW, and many more. That all depends – a better question would be, are you ready to do your bit for the environment and for your wallet? Here’s what we advise. Read as much as you can into EVs, but be aware the media likes sensational stories and spreading myths, so make sure you speak to current EV owners and drivers too. Go and take a look at a range of electric vehicles in car showrooms. Make sure the dealers know you’re after a real EV so you don’t get fobbed off with what they often call “clean diesel”. Speak to your councillors and MPs about electric car charging points in your area, both fast rapids for longer trips and destination chargers for when parked. You could also discuss other EV incentives such as cheaper (or free!) parking, exemption from congestion and pollution charges, use of bus and HOV lanes, and so on. Like any new financial and personal undertaking, when it comes to finding the best electric vehicle for you, just remember to get as much information from as many different sources as possible. Despite some views to the contrary, electric cars really do offer low-hanging fruit when it comes to reducing pollution of many kinds. And – as providers of 100% green electricity for households and businesses alike – we think they’re a much bigger part of the solution than they are the problem. So what are you waiting for?